Three cheers for date nights! Papa Bird and I have a professional Disney princess who babysits and sings. And with the Little Birds happily entertained, we are starting to venture out to more San Diego restaurants. Here are three of my top date night picks in San Diego for foodie couples — including a giveaway to one of them below. Many thanks to Jenny from Vintage Sugar Cube for the picture of Papa Bird and me. Disclaimer: Specialty Produce invited us to a night of fresh Italian and Mexican dishes by chefs Javier Plascencia of Bracero and MJ Testa of Caffe Calabria in order to sample their Farmers’ Market Boxes. There was no obligation to write about them and my decision to post was based on my excitement to share them with you. Opinions are my own, as always. Javier Plascencia’s restaurant empire in Tijuana ranges from the modern Misión 19 to Mediterranean/Mexican “BajaMed” fusion and often features fresh Baja California ingredients. Over the last decade, he has frequently outshone most San Diego chefs. Bracero Cocina de Raiz, named after a guest worker program that brought Mexican labor up to the U.S., is his second restaurant this side of the border (after Romesco in Bonita), opens tonight in Little Italy, and is at the very top of my list of San Diego restaurants I most want to visit. Check out a sneak peek of their modern Mexican fusion menu here, and see why I can’t wait. 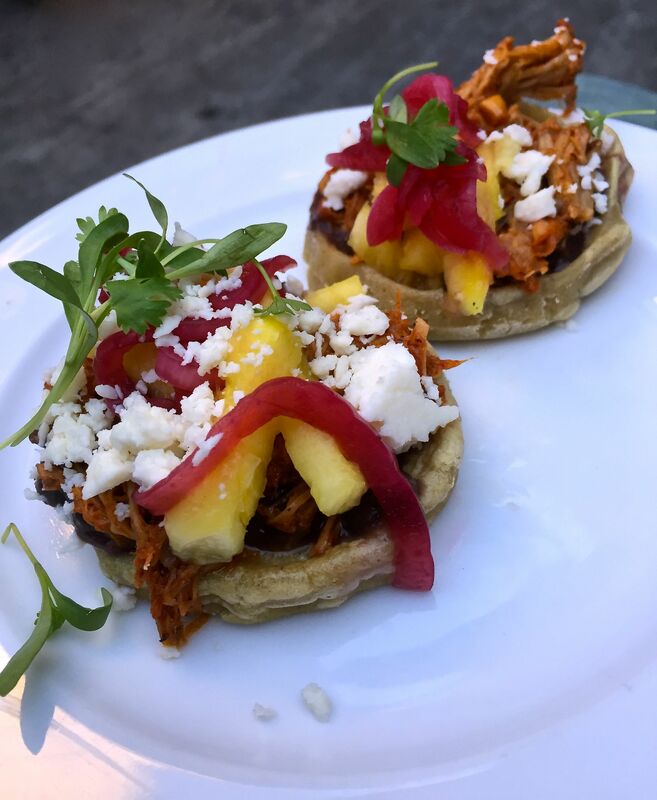 Below is a sample of what to expect: Yucatan-style cochinita pibil sopes, made from heirloom corn masa, slow braised pork, heirloom beans and fermented pineapple. You can make a reservation for their upstairs dining room here, or try your luck walking in to the more casual downstairs and crudo bar. 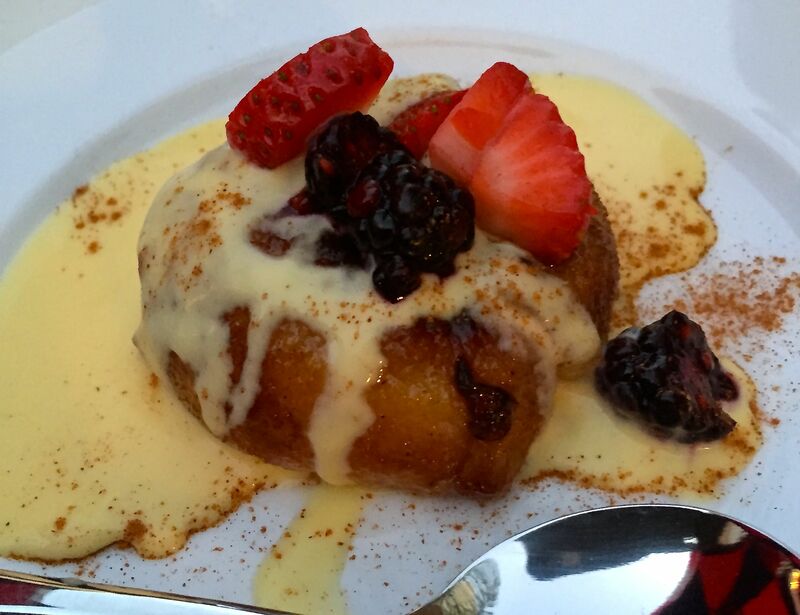 And if I haven’t convinced you to try Plascencia’s cuisine, maybe Jonathan Gold or Dana Goodyear can. When I was chipping away at my Masters of Social Work, I often studied at Caffe Calabria. I usually ordered a Viennese and brought home a bag of the beans they roast on site. Since then they have added a traditional wood-fire pizza oven from Naples, and brought in chef MJ Testa. 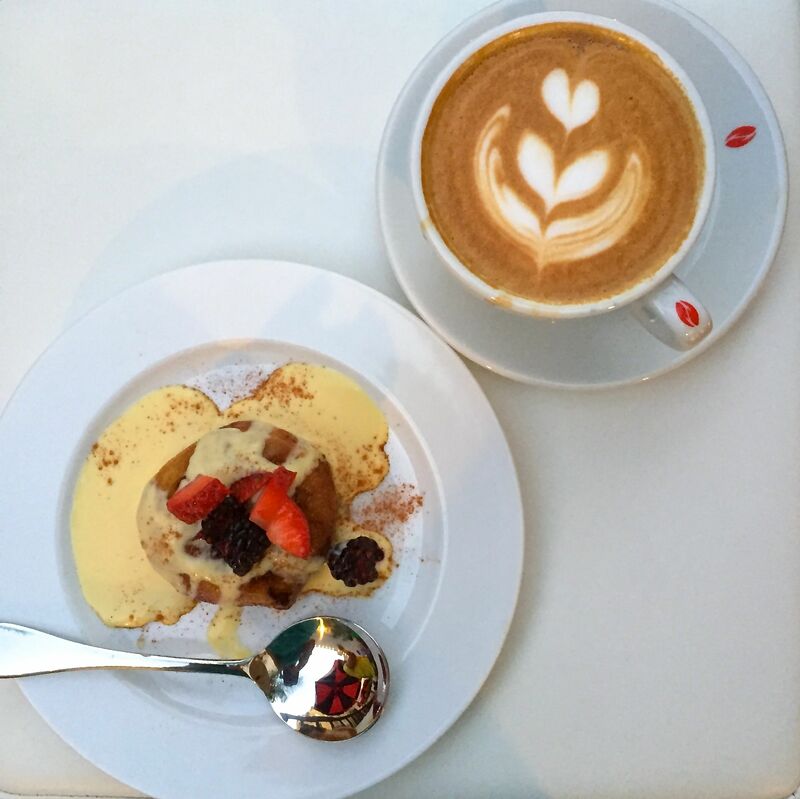 Caffe Calabria has also started mixing craft cocktails with the same level of attention they bring to the coffee bar. Enter to win two free pizzas from Caffe Calabria at the bottom of this post. 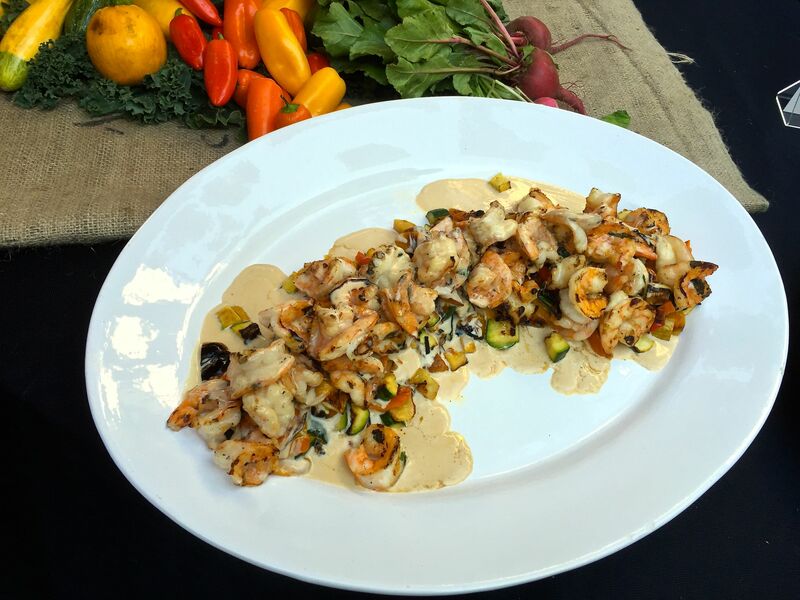 My favorite dish of the night was chef Testa’s Grilled Prawns with farmer’s market box squash and peppers in a cream sauce, inspired by the Amalfi Coast of Italy. I was too busy chatting and the first dish she put out was inhaled by the crowd. For dessert, she roasted white donut peaches and served it with a honey marscapone crema. As an aside, they have done a lot to renovate the upstairs and back patios. I would definitely look into Caffe Calabria for hosting a private event. The building was once a bank and has tons of character. North Park has changed a lot since I lived there, and there are a ton of bars and clubs to walk to after dinner. Want to be the lucky couple to win dinner there on me? You can see more of our night in the gallery below. 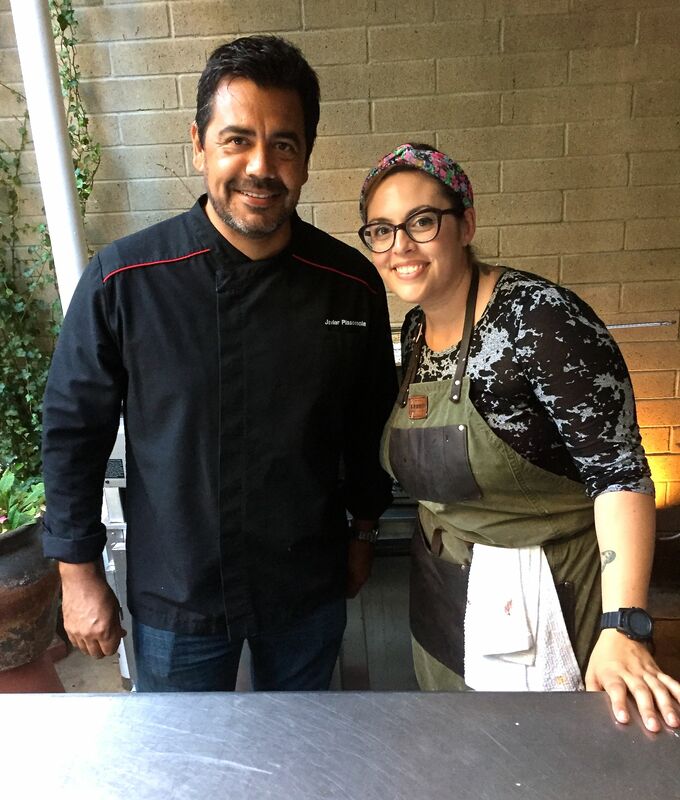 Tijuana chef, Javier Plascencia, and Bracero chef de cuisine Claudette Zepeda-Wilkins. 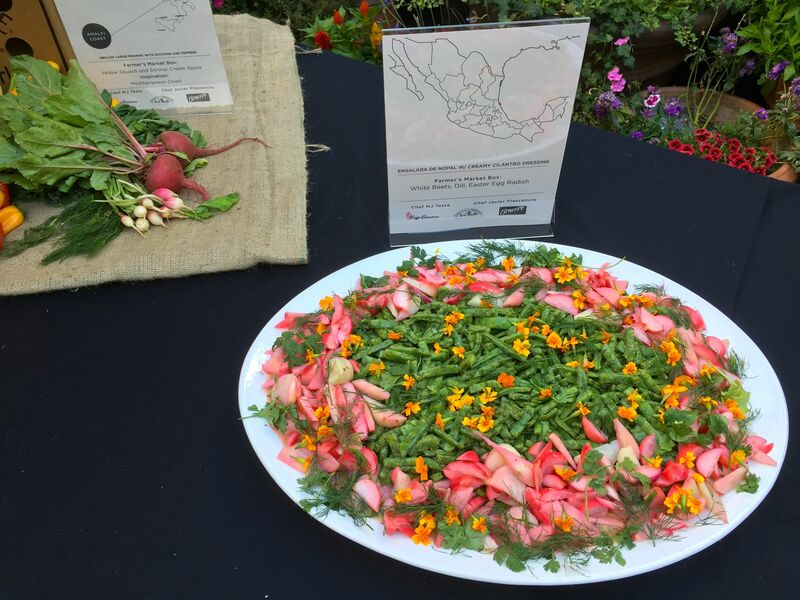 Ensalada de nopal by chef Javier Plascenscia of Bracero with white beets, dill and Easter egg radishes from the Specialty Produce farmers market box. 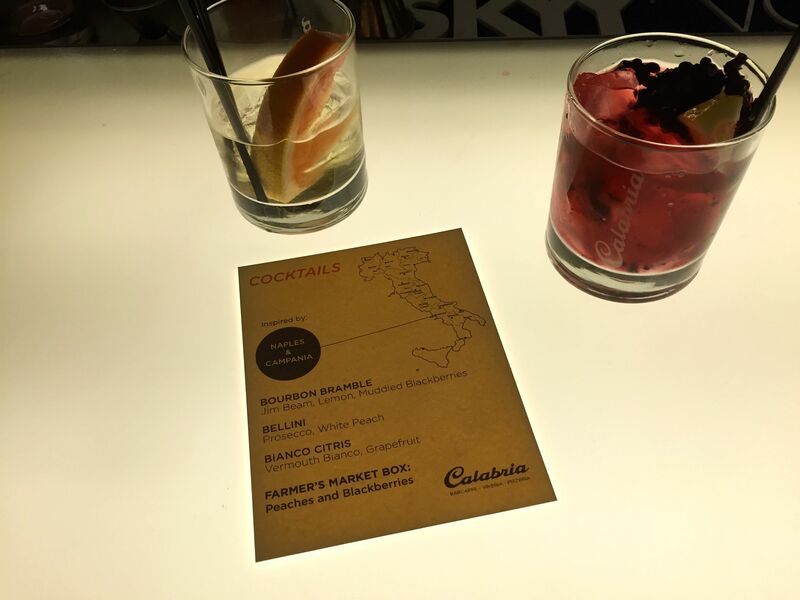 Craft cocktails at Caffe Calabria, featuring Specialty Produce seasonal fruit. 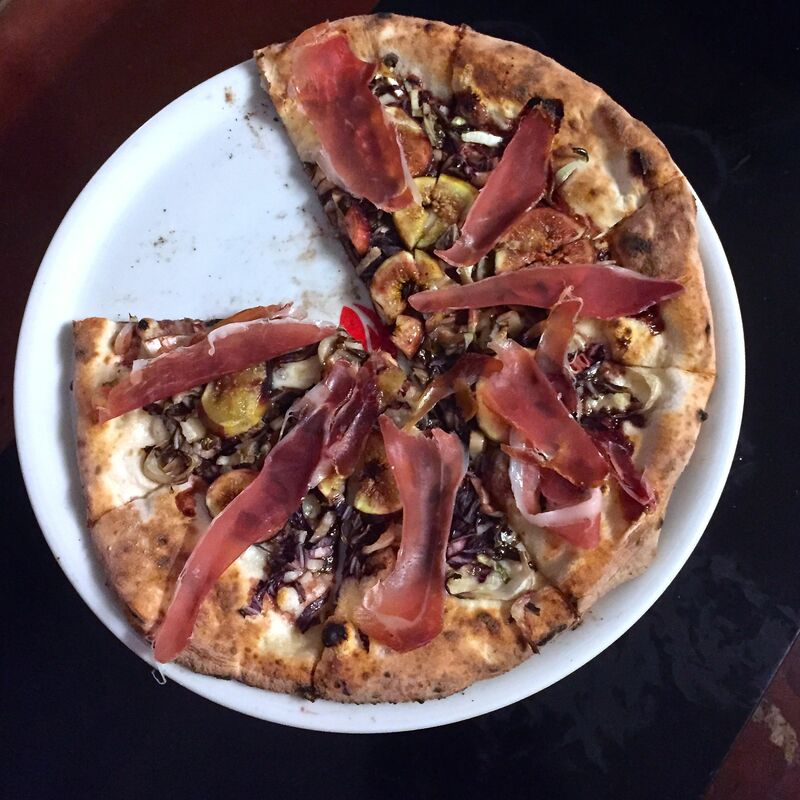 Caffe Calabria fig and prosciutto pizza by chef MJ Testa. 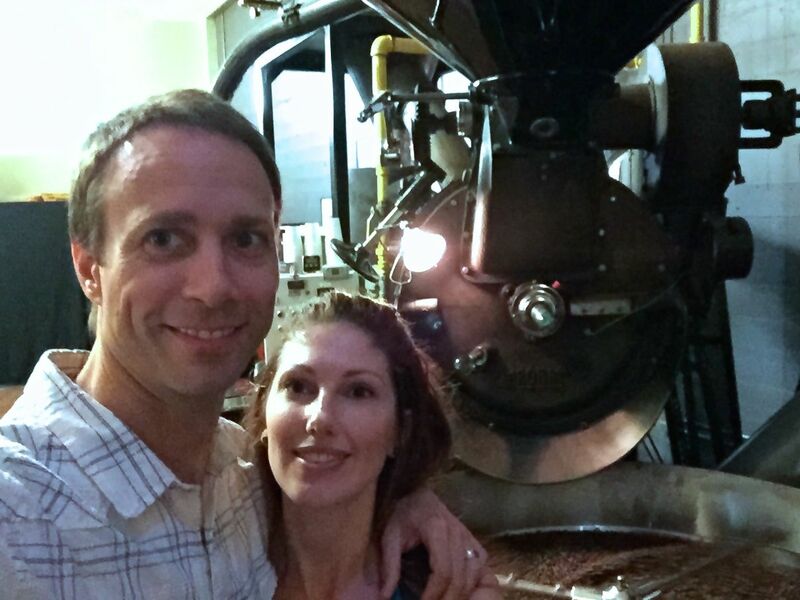 Me and Papa Bird by the Caffe Calabria roaster. Roasted Specialty Produce Doughnut Peach with a Honey Marscapone Crema by Chef MJ Testa of Caffe Calabria.